Stretchers need to be stored properly and remain accessible to staff—a requirement that is more easily said than done. With limited space and resources, hospitals and emergency operations can find it difficult to meet these needs. 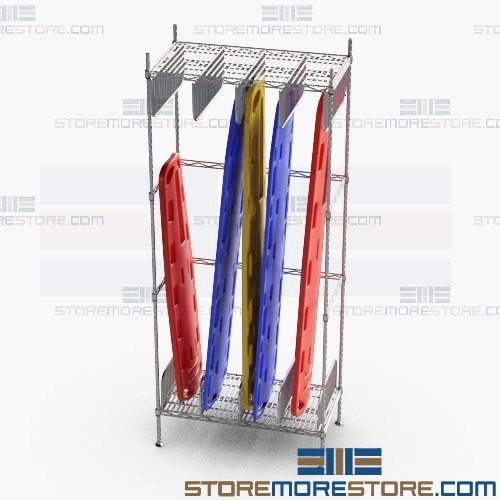 As a result, the EMT backboard and stretcher storage racks provide a simple and effective solution that optimizes storage space, keeps stretchers upright and prevents stacking, and makes retrieval and transportation fast and easy. Unfortunately, many emergency care facilities don’t have a designated storage space for stretchers. Instead, users line them up against the wall or stack them on top of each other. This not only causes numerous fire and safety hazards but also makes them difficult to retrieve and leaves them vulnerable to damage. 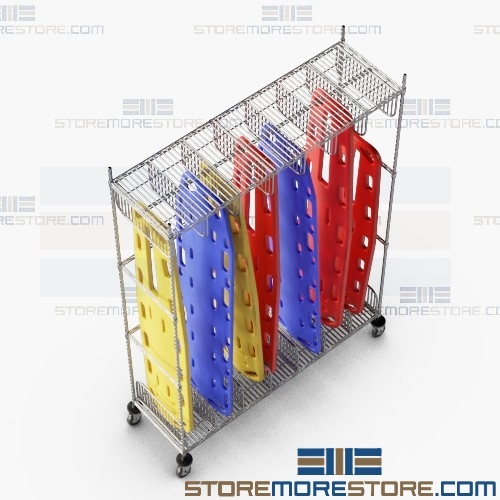 In order to prevent damage and mishandling, the EMT backboard carts store multiple stretchers in a small amount of space with dividers that keep them upright and organized. The stretchers remain easily visible during storage for staff to identify and retrieve. Its durable wire construction also promotes airflow to prevent dust buildup. Additionally, casters allow users to transport the backboards where they’re needed without removing them from the rack. EMT backboard and stretcher mobile racks are available to buy online and ship within 10-15 days with free dock-to-dock shipping included. If you need any assistance or just want some help picking the right solution for you, please call us at 1-855-786-7667.